Fulbright has announced for a number of scholarships for foreign language teaching assistant program ,2019,2020 in the united states. 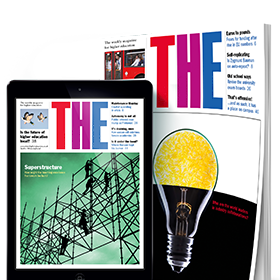 The University of Kafrelsheikh ranks the fourth among Egyptian Universities in International Research Citations. 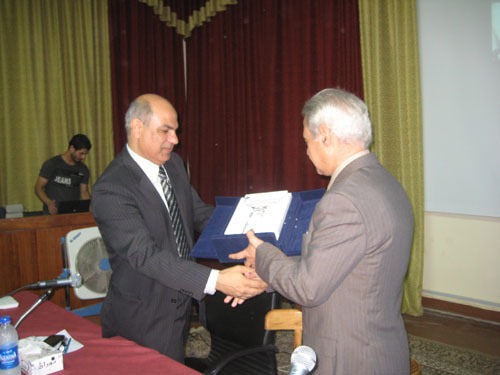 workshop under the title "Green synthesis of nanoparticles, applications and biosafety"
Horus University President to El Kemary…. "Kafrelsheikh University is a Fabulous Scientific and Educational Level"
Prof Dr Shawky Allam, the Mufti of the Republic, has called on during his visit to Kafrelsheikh University all who are able to donate for Kafrelsheikh University and he adds that despite the crisis undergone by the Egyptian People, but he is confident in the Egyptian businessmen and who are able to give more tender and provide assistance for the university hospital as it is already worth. The president Prof Dr Maged el Kemary receives today Wednesday 28/12/2016 Prof Dr Shawky Allam, the Mufti of Egypt in his office. The eminence Mufti of Egypt has delivered for the sons of Kafrelsheikh University and employees a lecture at the conferences hall at Development Center entitled “"Confronting Terrorism and Renounce Violence”. Under the authority of the president Prof Dr Maged el Kemary, the Faculty of Fisheries holds today Tuesday 27/12/2016 a seminar entitled “aquaculture in Egypt…..present and future) at the conferences hall at Development and Information center in cooperation with the World Fish Center and CARE in the presence of the vice president for education and students’ affairs. The president Prof Dr Maged el Kemary and Prof Dr Shawky Allam, the Mufti of Egypt do a survey to the university hospital after the completion of the seminar discoursed by the Mufti as he surveys the intensive care rooms, operations, reception and others of rooms and different departments at the hospital. Kafrelsheikh University held under the authority of the president Prof Dr Maged el Kemary tomorrow Tuesday the celebration for orphans of Al Eman Society for Orphans in cooperation with Masr el Kheir foundation entitled “you are not alone” for 200 orphans and deliver 20 cheques as a financial assistance for orphaned brides as well as delivering the models of bail for 10 families. As well, Prof Dr Ali Abu Shoshaa, the vice president for community affairs and environment service, mentions that this ceremony will include a seminar to raise awareness of Virus C in which Prof Dr Ibrahim Ismail, the advisory of health and nutrition will discourse in the presence of Samar Lotfi, the executive manager of Masr el Kheir Institution and Dr Ahmed Refaat, the official of preventive medicine in Masr el Kheir Institution. The ceremony will include the establishment of a charity exhibition at the Faculty of Science to distribute clothes, shoes and blankets on unable students as well as entertaining day for orphans with the students of the Sportive Education. Prof Dr Maged el Kemary witnesses today Sunday 25/12/2016 the graduation celebration of the students of Arabic Language Center to Non-native Speakers, totaling 29 foreign students from China held at the Faculty of Arts. The president expresses his happiness to graduate the second batch of Chinese students and their master of the first level in Arabic Language, wishing them to continue in the other levels and promising to develop the level of performance, quality and possibilities. The president Prof Dr Maged el Kemary receives today Sunday 25/12/2016 Dr Habash el Nadi, the president of Al-Arish University to search the ways of cooperation between the two universities. The President Prof Dr Maged el Kemary honors Mrs Amal Mohamed Shalabi, the assistant secretary-general of administrative affairs and Mr Ali Abed el Hamid, general manager of human resources to reach the age of retirement. Under the authority of the president Prof Dr Maged el Kemary, the Faculty of Medicine hosts the forty annual International Conference for Egyptian Society of Cytology and Histology that will be held on December 29, 2016 in the conferences hall at the Faculty of Medicine entitled “Evaluation of Stem Cell Therapy in Cardiac Diseases”. The president Prof Dr Maged el Kemary surveys today Wednesday 21/12/2016 the university hospital to follow up the works of installation of automated calling in the university for the proper functioning, its organizing and facilitating the tasks of inquiry and the work inside the hospital. The president Prof Dr Maged el Kemary announces about the university intention to send veterinary therapeutic developmental convoy to Uganda during the next February and will last for two weeks within the policy of the university to provide the medical and developmental support for neighboring countries in the regions of Nile Basin and Horn of Africa especially the Republic of Uganda due to the close and continuous ties of cooperation that link Egypt and Uganda in all fields. University Performance Development Council holds today Monday 19/12/2016 a meeting to review and discuss the plans of university performance development in the different faculties to participate in achieving the excellence of education quality and upgrading the scientific research system. The President Prof Dr Maged el Kemary surveys today Monday 19/12/2016 the Faculty of Languages in preparation for the opening of the second phase and following up the educational process inside the faculty. Under the authority of the president Prof Dr Maged el Kemary, the Faculty of Agriculture organizes “The Faculty of Agriculture and Local Community Forum” today Monday 19/12/2016. The president welcomes the participants in the form of the Faculty of Agriculture and local community in which elite of scientists, researchers, businessmen, companies, agricultural institutions and many governmental and industrial institutions participate. Under the authority of the president Prof Dr Maged el Kemary, Prof Dr Abed el Raziq Dousouki, the vice president for education and students affairs, opens today an art gallery at the Faculty of Specific Education for the works of the visual artist Zidan el Ashry entitled “Borollos” as it includes 20 aesthetic paintings inspired by the charming and picturesque nature of Lake Borollos and fishing profession. Under the authority of the president Prof Dr Maged el Kemary, the Faculty of Physical Therapy holds today Tuesday 13/12/2016 the second scientific conference of Basic Sciences Department entitled “the new therapeutic methods in the treatment of lower back pain” in the presence of the dean of the Faculty of Physical Therapy Prof Dr Amal Fawzy; the dean of the Faculty of Physical Therapy Prof Dr Mahmoud Owaida; the conference rapporteur and elite of professors of the Faculties of Physical Therapy, the doctors and physiotherapists at Kafrelsheikh, el Gharbia and Alexandria. The president Prof Dr Maged el Kemary congratulates the Egyptian People, Arab and Islamic Nation on the occasion of the Prophet’s Birthday (peace be upon him) and asks Allah to come with goodness and blessings and the biography of the prophet Muhammed (peace be upon him) whose dawaa and morals can gather around him scattered tribes and make them “You are the best nation produced [as an example] for mankind” can be the role model and a good example for our students. Prof Dr Maged el Kemary witnesses today Thursday 8/12/2016 the opening of the events of the scientific conference for the treatment and surgeries of tumors in the Doctors Syndicate organized by Egyptian Oncology Surgeons Society in cooperation with Breast Tumors and Women's Association at Ain Shams University and Mansoura Tumors Association under the auspices and in the presence of the Major General el Saied Nasr, Kafrelsheikh governor, Kafrelsheikh University and the Doctors' Syndicate. Prof Dr Maged el Kemary honors today Wednesday 7/12/2016 the recital team for winning the first place at the level of Egyptian Universities in Art Center Competition at the level of Egyptian Universities in cooperation with the Ministry of Youth and Sports, so the president has granted them financial reward in recognition of their excellence in the field of arts and music. Prof Dr Maged el Kemary announces about the acceptance of Kafrelsheikh University as an active member and participant in Arab Universities Union. This comes after the president’s participation in the meeting of special session of the general conference of Arab Universities Union in the last Sunday at Zaytuna University, the Hashemite Kingdom of Jordan, in the presence of 150 presidents of Jordanian and Arab Universities. The request from Mr. Walid Ismail Abd-Elgwad. The request submitted by Prof. Dr/ head of Botany department about appointment of demonstrators. College Council consider the recommendation of the Education and Student Affairs Committee to approve the modified study plan of Chemistry Department (first term 2015-2016). College Council consider the recommendation of the Education and Student Affairs Committee to approve the distribution of students to academic guides of scientific departments. The request from Dr. Abdel Hamid elshaer. Seminar "How to Profit from the liquid remnants of scientific laboratories and recycled them"
Environmental communication and sustainable development center is honored to invite who cares for the field of Desalination to participate in first international conference for Desalination which will be hold on Sunday 26 May 2013. Dr Aliaa el Saeed Fadal Allah, administrator in Zoology Department invites staff members to attend her Master's degree's discussion on Saturday 27/4/2013 at 11 am in debates hall, the faculty of Science in Tanta University. The dean Prof Dr Amr Beltagi, vices of dean and staff members congratulate the winners of scientific excellence prizes. Chemistry Department announces about the beginning of running Nuclear magnetic resonance device (400 MHz) for proton and carbon 13 and other measurements. Under the authority of the dean Prof Dr Amr Mohamed Beltagi and the vice dean for the affairs of education and students, students' union and youth care is honored to invite staff members, assistant staff and employees to attend the final of science league for 2012/2013 on Monday 22/4/2013 at 12 pm. The dean Prof Dr Amr Beltagi, vices of dean and assistant staff congratulate Dr Aliaa el Saeed, administrator in zoology Department for being granted Master's Degree. They wish her more success and progress. The dean Prof Dr Amr Beltagi, vices of dean and assistant staff congratulate Dr Enas Ahmed Fatah Allah, administrator in Zoology Department to be granted Master's Degree. They wish her more success and progress. The dean Prof Dr Amr Beltagi, vices of dean, staff members, employees and students congratulate renaissance generation family as their project (Safe disposal of chemical waste) was chosen as the best projects over university and republic. They wish them more success and progress. Higher Education Development Project announces about a workshop to start electronic services unit at 10 am on Wednesday 28/11/2012 in dormitories conferences, Cairo University. The vice dean for the affairs of education and students met with employees on Wednesday 26/12/2012 to encourage them to be in theoretical exams and before the exam date by suitable time. Besides, he urged them to provide safety and security factors beside every committee. Quality assurance unit is honored to invite you to attend a seminar about "Nano Fotonaat when Quantum science unites with Nano science" for Dr Mohsen Galli, the assistant professor in Physics department and the meeting will be on Monday 11/3/2013 at 1 pm in seminar hall. The committee was held on Wednesday5/12/2012 under the authority of Prof Dr Ahmed Ibrahim Khudair, the vice dean for the affairs of education and students in his office in the presence of committee members. The dean Prof Dr Amr Beltagi congratulates the vices of dean, staff, employees and students because of New Year 2013. The exams of first term for the academic year 2012/2013 will begin from 29/12/2012 until 24/1/2013 as the half year vacation will begin from 26/1/2013 for two weeks. All students should update their contacts data through: http://serv.kfs.edu.eg/stud_contacts. Under the authority of the dean Prof Dr Amr Beltagi and the vice dean for the affairs of environment and community service, environment affairs and community service committee organizes a seminar entitled "Meteorites (sky stones): emerging, environmental impacts and economic importance" in which Prof Dr Mahamed Tharwat Salah Haikal, the professor of geology, Tanta University on Wednesday 20/3/2013 at 12 pm. Committee is held on Tuesday 4/12/2012 under the authority of Prof Dr Alaa Mohamed Salem, the vice dean for postgraduate studies in his office in the presence of committee members. With the interest of ministry of higher education for the development of higher education system, the ministry accepts proposals and opinions of staff, assistant staff, students and employees in different university faculties about university issues. The dean Prof Dr Amr Beltagi, vices dean, staff members and assistant staff congratulate Prof Dr Abed el Motalb Mosaad Ramadan, professor in Chemistry Department in the faculty of Science for being appointed as the vice dean for the affairs of education and students in the faculty of Pharmacy, Kafrelsheikh University. The dean Prof Dr Ame Beltagi and the vice dean for the affairs of education and students congratulate the student Ahmed Jamal for being the assistant secretary of students' union as well as the student osama Ramadan for being the cultural committee in students' union. They wish them more success and progress. The American expert Dr Greg Brelsford, who works in Microsoft Company in Smart Village, Cairo, will discourse a lecture entitled “Intellectual Property Rights, negotiation skills” on Tuesday 27 November 2012 in the seminar hall in the faculty of Science at 1 pm. The president Prof Dr Maged el Kemary is honored to invite staff members and assistant staff to attend a workshop entitled "models and the use of Google Scholar" on Tuesday 19/2/2013 at 11 am in the Development and Information Center in the hall 605. The dean Prof Dr Amr Beltagi and vices dean is honored to invite staff members and all students to attend a lecture for Prof Dr el Refaee Qenawi, the professor of Polymers, Tanta University, entitled "An overview on the recent applications o polymers" on Sunday 21/4/2013 in seminar hall at 12 pm. Under the authority of the minister of High Education Prof Dr Mustafa Mosaad; the president Prof Dr Maged Abed el Tawab el Kemary and the vice president for the affairs of education and students Prof Dr Mohamed el Saied Abu Walli and within the cooperation between Kafrelsheikh University and students’ activities development project, general management for youth welfare (roving and general service management) organizes the fifth instructional course for Egyptian universities roving on 1-8 February 2013 with the participation of Egyptian universities. The committee was held on Tuesday 4/12/2012 under the authority of Prof Dr Alaa Mohamed Salem, the vice dean for postgraduate studies and research in his office in the presence of committee members. The general university management announces about its need for the assistant secretary-general (general manager rank). The applicant should present the request by hand to the art municipality for permanent leaderships committee by the name of the president for thirty days since the date of publication and meet the determined terms according to the law No 47 for the year 1978 about civil employees system and the law No 5 for the year 1991 about civil leading jobs and its executive regulations. Quality Management Unit with the cooperation with scientific committee in the family (take look) is honored to invite staff members and assistant staff to attend a seminar entitled "Nanotechnology: prospects ambitions) in which Prof Dr Maged el Kemary, a professor in Chemistry Department and Kafrelsheikh president will discourse on Monday 18/2/2013 in the faculty of Science in auditorium No 2 at 11 am. The vice dean for postgraduate studies and research met with the students of postgraduate studies on Wednesday 6/3/2013 at 1 pm in seminar hall to discuss the rules of postgraduate studies, exam systems and study burdens. The vice dean for the affairs of students and education, the vice dean for postgraduate studies and research and the dean do a survey to check the practical exams in the faculty exams. They wish them more success and progress. The study will start by credit hour system in the winter 2013 with the beginning of the second term 2012/2013. The faculty council No 44 was held on Sunday 13/1/2013 under the authority of Prof Dr Amr Mohamed Beltagi, the dean, in the presence of staff members. The dean is honored to invite you to attend general meeting for staff members entitled "quality: future vision" on Tuesday 19/3/2013 at 12 pm in seminar hall. Under the auspices of the ministry of higher education Prof Dr Mustafa Mosaad; the ministry of state for research Prof Dr Nadia Zakhara; the ministry of Health Prof Dr Mohamed Mustafa; Kafrelsheikh province mayor Eng Saad el Husseini and Kafrelsheikh University President Prof Dr Maged el Kemary, the university is ready to celebrate its seventh festival on Saturday 20/4/2013. The council No 43 was held on Sunday 9/12/2012 under the authority of Prof Dr Amr Beltagi, the dean and in the presence of staff (council members). Within the cooperation between university and regional blood center for blood donation for renal failure patients, Tumor and Varicose veins patients, bleeding and liver cases, the vice president for the affairs of education and students agreed to begin blood donation in the faculty for four days. Committee is held on Tuesday 4/12/2012 under the authority of Prof Dr Samaa Bakr, the vice dean for the affairs of community service and environment development, in her office in the presence of committee members. Saturday 29/12/2012 is the beginning of exams in Kafrelsheikh University where the president and the vice president for the affairs of education and students survey exam committees to be assure that exams are ok and they provide health welfare for students. The youth welfare announces about opening the door of nomination for students' union, so the student who wants to fill form, go to youth welfare from Tuesday 19/2/2013 until Thursday 21/2/2013. The dean, vices dean, staff and assistant staff congratulate the student Shaimaa Fathi Tawfiq Abed el Fatah, in the third year, for winning the title of ideal student over the faculty. . They wish her more success and progress. The committee will be held under the authority of Prof Dr Alaa Mohamed Salem, the vice dean for postgraduate studies and research on Tuesday 6/11/2012 in his office in the presence of committee members. The dean Prof Dr Amr Beltagi and the vice dean for the affairs of education and students congratulate the student Eman Wagih Mohamed in the first year for getting the second place in Holy Quran competition organized by the faculty of Arts over the university. Under the authority of the dean, the vice dean for the affairs of education and students and the youth welfare, students’ union announces about beginning the donation campaign for university hospital from Sunday 7/10/2012 for ten days. The faculty council No 42 was held on Sunday 11/11/2012 under the authority of the dean Prof Dr Amr Mohamed Beltagi on the presence of staff (council members). The faculty participates in the rehabilitative forum for student leaderships for the participation in the political life of students on 10-11 October 2012. Cultural relations council was held under the authority of Prof Dr Alaa Mohamed Salem, the vice dean for post graduation studies and research, on Sunday 4/11/2012 in his office in the presence of committee member. The dean, vices dean, staff and assistant staff congratulate the student Mokhlis el Saied Rashad, in the second year, for winning the title of ideal student over the faculty. They wish him more success and progress. E-learning center announces about opening the door for staff members to choose any course taught in another university to be activated and taught through first term, but the course should be identical to what is taught in the university and should be in the same accurate specialism of staff member. The president Prof Dr Maged el Kemary congratulates Prof Dr Rushdi Abu el Nasr Maree for being appointed the manager of general service center. The faculty management congratulates Prof Dr Mohsen Abed el Fatah Gali for getting the second research project from Science and Technology Development Fund. They wish him more success and progress. The president Prof Dr Maged el Kemary receives Prof Dr Aida Yourabteen and Prof Dr Karim Own from Pasteur Institution in Tunis for the activation of Tunisian Egyptian Agreement of the scientific research academy to execute the molecular analysis for the parasites Cryptosporidium in Arab Republic of Egypt and Tunis by the membership of Prof Dr Saeed Amer, Prof Dr Magdi Mahfouz and Prof Dr Nabila Mira, the assistant professors in the faculty of Science in Kafrelsheikh University. The faculty council No 41 was held on Sunday 14/10/2012 under the authority of Prof Dr Amr Mohamed Beltagi, the dean, and in the presence of council members. The president Prof Dr Mohamed Morsi issued a resolution about appointing Prof Dr el Saied Mohamed Ibrahim Hegazi to be the vice president for post graduation studies and research. They wish him more success and progress. The dean, vices dean and staff congratulate the employees because of the new Hijri year. The dean Prof Dr Amr Mohamed Beltagi and agents congratulate the staff, assistant staff, employees and students because of the anniversary of victory of Sixth October. They ask Allah to perpetuate victory and pride for Egypt. Youth care department congratulates new students because of new academic year 2012/2013, welcomes and invites them to participate in different activities (culture, art, sport, families, gawalla (group of people gathering in camp), science and trips). They wish them more success and progress. The committee was held under the authority of Prof Dr Samaa Bakr, the agent for the affairs of community service and environment development on Tuesday 11/9/2012 in her office in the presence of committee member. Youth care department announces about forming sport teams in all games (individual and collective) for the participation in internal league for the faculties through October 2012. The students who want to register should go to youth care department. The dean and the vice dean for the affairs of education and students congratulate the student Osama Ramadan Motawi for winning the third place over the level of Egyptian Universities in the competition of social researches. Within Kafrelsheikh plan for the development of educational and research process, kafrelsheikh University provides a spectrometer for the measurement of a chemical reaction. Post graduation committee was held under the authority of Prof Dr Alaa Mohamed Salem, the agent for post graduation and research on Tuesday 11/9/2012 in his office in the presence of committee members. The committee was held under the authority of Prof Dr Ahmed Ibrahim Khudair, the agent for the affairs of education and students on Wednesday 12/9/2012 in his office in the presence of committee members. The faculty participates in students’ leadership rehabilitation for the participation in political life for university students through 10-11 October 2012. The faculty council No 40 was held on Tuesday 11/9/2012 under the authority of Prof Dr Amr Mohamed Beltagi, the dean in the presence of staff (council members). The president Prof Dr Maged el Kemary and the vice president for the affairs of education and students Prof Dr Mohamed Abu Walli do a survey on Sunday 16/9/2012 for the faculties to be insure of the proper functioning of educational process, welcome new and old students, congratulate them because of new academic year and invite them to participate in the different students’ activities in the cultural, art, social, trip, gawalla and general service fields. They wish them more success and progress. The sport activity family congratulates the new students because of the new academic year and invites them to participate in different sport games (individual and collective) such as football, handball, basketball, volleyball, tennis, karate, swimming and athletics……..). The students, who want to participate in one of these games, should go to youth care department to take application form. The faculty council agrees to choose Prof Dr Ashraf Abed el Hamid el Shahawi, a head for master’s degree committee in post graduation in Organic Chemistry department. The faculty council No 39 was held on Sunday 12/8/2012 under the authority of Prof Dr Amr Beltagi in the presence of staff (council members). The committee of community service and development affairs is held under the authority of Prof Dr Nora Fatah Allah Ganem, the agent for the affairs of community serivse and environment affairs on Sunday 1/4/2012 in his office in the presence of committee’s members. The students should update their communication data as the website of data update will be closed on 29 April 2012. The dean Prof Dr Amr Beltagi, agents, heads of departments, staff and employees congratulate Prof Dr Abed el Mutalib Musaad Ramadan, in Chemistry Department fro being a professor. They wish more success for him and more progress and welfare for our university. Under the authority of the general management for the youth care which associates with the Egyptian Sportive Union, Football match was held on Sunday25/3/2012 between the teams of Science and Arts Faculties in the second phase during the events of sportive activity. The faculty council No. 34 is held on Sunday 11/3/2012 under the authority of Prof Dr Amr Mohamed Beltagi, the dean in the presence of staff(council members). According to the approval of the council of directors of dormitories No 54 in 11/7/2012, the students will present their papers for dormitories electronically from 1 August until 30 August 2012 for the academic year 2012/2013 . The committee of community service and development affairs is held under the authority of Prof Dr Nora Fatah Allah Ganem, the agent for the affairs of community service and environment affairs, on Sunday 29/4/2012 in her office in the presence of committee’s members. The meeting of faculty council No 36 was held on Sunday 13/5/2012 under the authority of Prof Dr Amr Mohamed Beltagi, the dean, and in the presence of the staff (council members). Technology and Research Academy announces about short term scholarships for PHD from (2-4) months, short term for post PHD (3-6) months and scientific mission for researchers from French Institute. The last day to apply is on 30 April 2012. 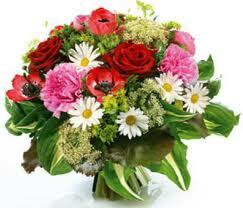 5Masr Institution thanks the staff of the faculty of Science and they are: 1) Prof Dr Youssef Abed el Latif el Hamadi. The result of all years is announced on Wednesday 27/6/2012 through: http://www.kfs.edu.eg/result. The student will enter by using username and password through university email. For getting his/her email, please visit: http://mis.kfs.edu.eg/st_service/default.aspx. The committee of education and students was held under the authority of Prof Dr Ahmed Ibrahin Khudair, the agent for the education and students affairs on Sunday1/4/2012 in his office in the presence of committee’s members. Under the authority of the general management for the youth care which associates with the Egyptian Sportive Union, Football match was held on Thursday 23/3/2012 between the teams of Science and Veterinary Medicine Faculties in the second phase during the events of sportive activity. The dean Prof Dr Amr Beltagi, agents and the assistant organization congratulate Prof Dr Saeed Emad el Deen Riyad, the assistant professor in the department of zoology, for getting the Encouragement university prize in the field of basic science after the agreement of the university council on 26/3/2012 and he wishes more success and progress. A workshop about “Pathways to Higher Education” project is held on Tuesday 6/3/2012 that aims to: 1) Development of Thinking and Management Skills (DTMS). 2) Development of Secondary Teachers Skills. 3) Development of Entrepreneurship Skills (DES). 4) Development of English Skills. 5) Training for Traitors. The cultural committee announces about a cultural competition in poetry, short story and general information on Tuesday 24/4/2012 and the students who will participate should present their works (poetry and short story) to the youth care. The faculty council No 38 was held on Tuesday 10/7/2012 under the authority of the dean Prof Dr Amr Mohamed Beltagi in the presence of staff (the council members). The dean Prof Dr Amr Mohamed Beltagi and the agent for the affairs of education and students congratulate the members of control for their effort to finish the results of students. The week of science and technology is executed from 18 until 22 March 2012 and 350 students from preparatory and secondary schools are invited to visit the research and scientific laboratories in the faculty. The committee of cultural relations was held under the authority of Prof Dr Alaa Mohamed Salem, the agent for the post graduation studies and research on Sunday 1/4/2012 in his office in the presence of committee’s members. Under the authority of Prof Dr Amr Beltagi, the dean and head of the project; Prof Dr Ahmed Khudir, the agent for the affairs of education and students; and Dr Hanaa Mansour, the consultant of the project and pioneer, the Nahdah family held a seminar about the project of safe disposal of chemical waste (sdcw) in the auditorium (2) at 1pm. Under the authority of the dean, the agent of the faculty for the education and students and youth care department, the faculty does an honoring celebration for the students’ union on Monday9/4/2012 in the theatre of the faculty at 1 pm. Prof Dr Amr Beltagi, the dean of the faculty and the agents congratulate the staff, the employees in the faculty and university and students because of international workers’ day on Tuesday 1/5/2012 and it will be a holiday. The dean Prof Dr Ali Abed el Kader Mansour congratulate the agents, staff and employees for the holy month Ramadan. He asks Allah that this month comes with good and blessings. The faculty council No 35 was held on Sunday 1/4/2012 under the authority of the dean Prof Dr Amr Beltagi in the presence of staff (council members). According to the agreement in the meeting of supreme universities council No. 560 on 25/8/2012 about the map for the academic year 201/2012, it is agreed that the period from Saturday14/4/2012(Easter Day) until Thursday 19/4/2012 is a holiday for the students, staff, assistant organization and employees and the dormitories will receive the students form Saturday 21/4/2012 and the launch will be from Sunday 22/4/2012. All students should activate their email on website to send his/her password to get the result. To get password, please visit: http://serv.kfs.edu.eg/stud_email/. The elections of students’ committee members (the first level) for the academic year 2012 are held on Tuesday 27/3/2012 over the years from 9 am until 3 pm. The committee of post graduation is held under the authority of Prof Dr Alaa Mohamed Salem, the agent for the post graduation and research on Sunday6 May 2012 in his office in the presence of committee’s members. 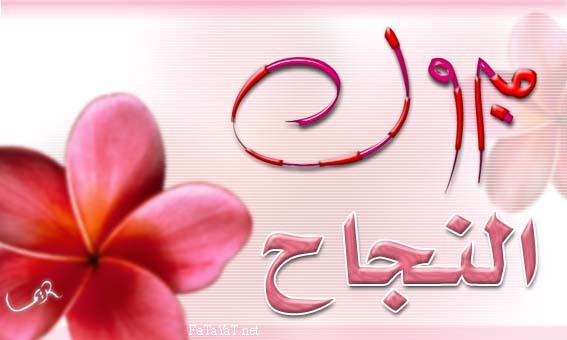 The exams for the academic year 2011/2012 began on Saturday 19/5/2012. An Announcement about Scholarships from Mexican Government. The faculty management, the staff and the employees console Dr Aziz Abo Shama, the assistant professor, due to the death of his father. The university council No. 75 which was held on 23/1/2012 accepted the suggested rules to execute the summer training for the students of the faculty( passed from the third level to the forth level). The training plan: 1)The duration of the training are six weeks (five days in the week and six hours in the day) and the students divide into groups and every group has fifteen students. In the programs that have less than 15 students, the students of every program represent one student groups. Under the authority of Prof Dr Maged Abed el Tawab el Kemary, the president of Kafrelsheikh university, the Hekma family associated with the students union of the faculty of Science invite you to attend a workshop about Nano entitled ”An Entrance to Nano Science”. The faculty and university councils accredited the teachable planning as the following: 1)The teachable planning for the first level. 2The teachable planning for the second level. 3)The teachable planning for the third level. During the events of the first environmental week for the university for the academic year 2011/2012 with the ministry of state for the affairs of environment, the faculty gets the third place in the competition of media mission and in article and paining competitions over the faculties of the university under the authority of the minster of state for the environment affairs Prof Dr Mustafa Hussein Kamel and the president Prof Dr Maged Abed el Tawab. Prof Dr Maged Abed el Tawab el kemary is meeting with the staff in the faculty to discuss many important issues about the university and the faculty. The training courses for the top graduates starts from 4 until 8 March 2012 in Information and Development Center. The committee of post graduation education is held on Tuesday 5/3/2012 under the authority of Prof Dr Alaa Mohamed Salem, the agent for post graduation education and research, in his office in the presence of committee members. The committee of community service and environment development affairs is held on Wednesday 29/2/2012 under the authority of Dr Nora Fatah Allah, the agent for the affairs of community service and environment development, in her office in the presence of the committee members. The youth care department announces about the acceptance of class of social solidarity, so the students who want to register, go to the department to take the form. he thirty third faculty council is held on Sunday 12/1/2012 under the authority of Prof Dr Amr Mohamed Biltaji, the dean and in the presence of the staff(council members). The practical schedules and skashen of the departments in the faculty are finished and every student should go to the departments to know their schedules. The committee of cultural relations is held on Sunday 4/3/2012 under the authority of Dr Alaa Mohamed Salem, the agent for the post graduation education and research, in his office in the presence of committee members. The faculty, staff and assistant organization console Dr Fawzya Ibrahim el Shamy in the science department for the death of her mother and they pray Allah for her by mercy and for the family by patience. The register to update the data of permanent scientific committees on the email www.eupc.edu.eg is opened to the date 29/2/2012. The faculty, staff and assistant organization congratulate Dr Shaban Abed el Fatah, the assistant professor in science department for being the manager of quality assurance center in the faculty and wishes him more success. The committee of education and students affairs is held on Sunday4/3/2012 under the authority of Ahmed Ibrhim Khudair, the agent for the affairs of students and education, in his office in the presence of committee members. nder the authority of Prof Dr Amr Mohamed Beltagi, the dean of the faculty and Prof Dr Ahmed Ibrahim Khadir, the agent of the faculty for the affairs of education and student and a committee which consists of: Dr Hanaa Mansour, the lecturer in the Chemistry department. Dr Mohamed Khalifa, the lecturer in the mathematics department. Prof Ismail Shaaban, the head of youth care department. 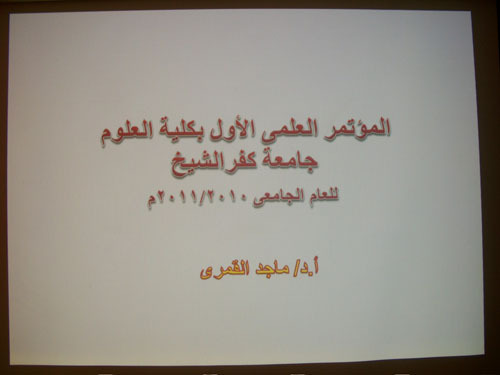 Libraries committee is held on Wednesday 29/2/2012 under the authority of Prof Dr Alaa Salem, the agent of the faulty for the post graduation education and research and in the presence of the staff committee and they study a lot of topic related to the library. The result of the second and third level in the faculty is announced through: http://www.kfs.edu.eg/result/. Professor D.r / Maged Abdel Tawab Kamary – Dean calls gentlemen agents and heads of departments and faculty members, lecturers, teachers, and teaching assistants of the department to attend . The result of the first level in the faculty is announced through: http://www.kfs.edu.eg/result/. Hosted a Nanotechnology Laboratory, Faculty of Science - University of Kafr El-Sheikh Dr. Manoj Bhazaria from Brookhaven Company U.S.A.